Psychedelic rock was mainly an American thing. Some of USA's states provided many of the finest bands of the genre, including Texas and Massachusetts among others. 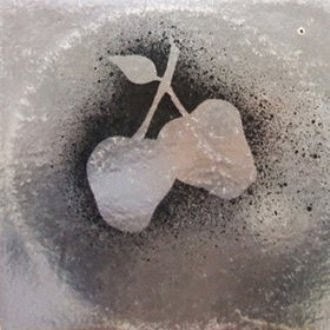 New York can be proud of Silver Apples. They produced psychedelia in a more "progressive" way adding some fine electronic elements and experimenting with various sounds. 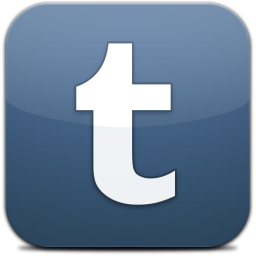 The band was formed in 1967, after changing its name from The Overland Stage Electric Band, by Simeon Coxe and Danny Taylor on oscillator and drums respectively. Both of them also took on the vocal duties. Now, an oscillator is an electronic device that produces electronic signal and converts DC to AC. Since it is in no need to analyse its functionality furthermore, we can only say that it can produce frequencies in the audio range so it can be audible and musically useful with the appropriate treatment. 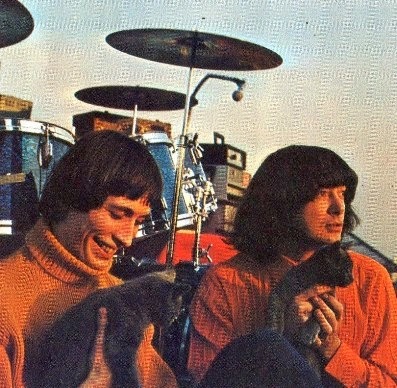 Silver Apples signed to Kapp Records and released their first self titled album in 1968. Nine songs were recorded including the band's signature song and first track on the album, Oscillations. 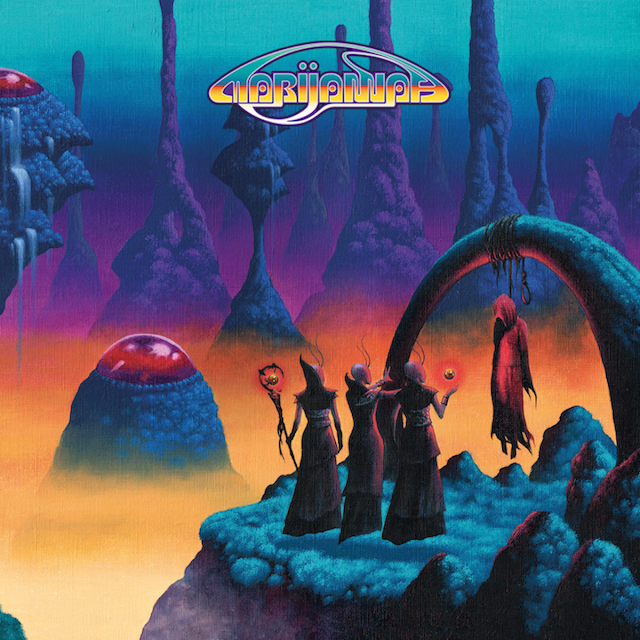 From the first notes of the song, the unique sound and the obsession with the electronic subject is evident, just read the lyrics: "Oscillations, oscillations, electronic evocations of sound’s reality". All sounds, apart from the drum kit, are produced by this miraculous oscillator, no samples, no real instruments. Many highlights on this one, Seagreen Serenades, Lovefingers, Velvet Cave, Program and the, let's call it, Krautrock driven Dust, are examples of the combination between experimentation and inspiration. Nine audio oscillators were used for the recordings, piled on top of each other and Simeon Coxe used his hands, elbows and feet to control 86 manual controls. The band also co-operated with a poet named Stanley Warren, to write the lyrics on seven of the songs. The following year, 1969, the band released its second and last album for the 60s, Contact. Much in the same vein as the first one, but better produced, this album also includes banjo played by Coxe, on two songs, Ruby and Confusion. The minimal and some times innovative drum playing by Taylor, ideally suited their musical quests that seem to have been expanded producing even more sounds, trying to imitate electric guitars and flutes. My personal favourite is the song A Pox On You, but i can't resist in enjoying You And I, Waters, You're Not Fooling Me and a couple of others. 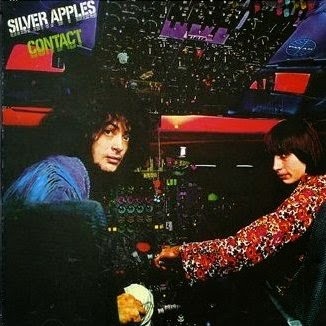 Silver Apples began a big tour in the States, but their future was not so bright. The LP cover featured the two band members in a plane cockpit and this lead to a lawsuit from Pan American World Airways due to drug paraphernalia and the pictures of wreckage shown in the innersleeve. The band broke up as Kapp Records was also suited by Pan Am and didn't release a third record that was almost ready at the time. Simeon Coxe revived the band in the 90s with a different line up and released 2 more records before reuniting with original drummer Danny Taylor in 1998. After a delay of 28 years, the lost tapes of the third album were found and "Garden" was released in 1998 in the band's label, Whirlybird Records. In 2005 Danny Taylor died of heart attack and Simon Coxe continues as a solo artist since then.